Our family was near Charlotte this weekend for my daughter’s soccer tournament. When Sunday’s games got rained out we decided to make a stop on the way home to re-visit Guilford Courthouse National Military Park. Two years ago, our family visited Guilford Courthouse on the way to a different soccer tournament in western North Carolina but our trip was a bit of a rush. I was excited to have an opportunity to spend a little more time in the visitor center. 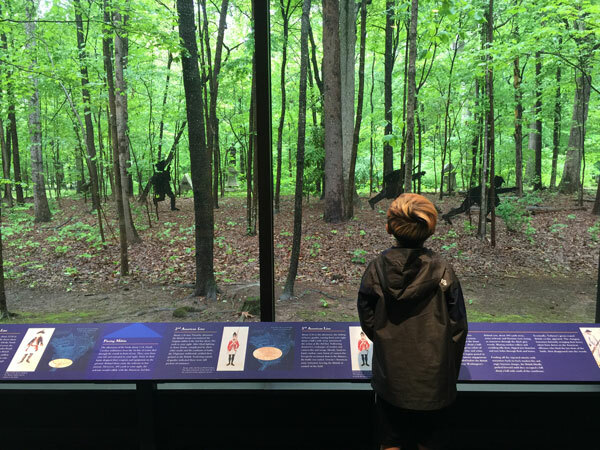 I am so glad that we did—the visitor center at Guilford Courthouse National Military Park is amazing! 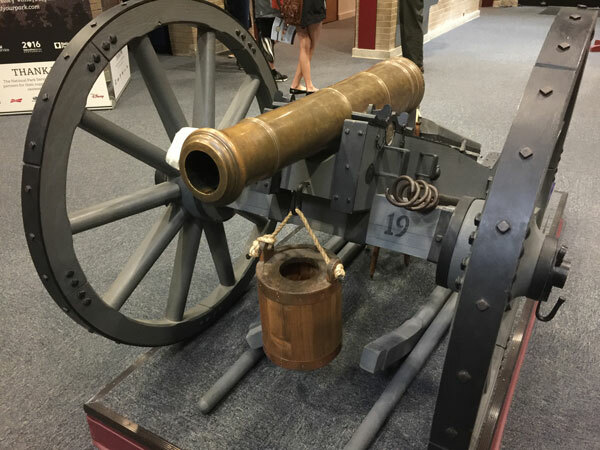 We ran into the Visitor Center from the parking lot because it was pouring outside and were immediately greeted by 3 super friendly Park Rangers and this: a replica British 3-Pounder Light Infantry Gun. 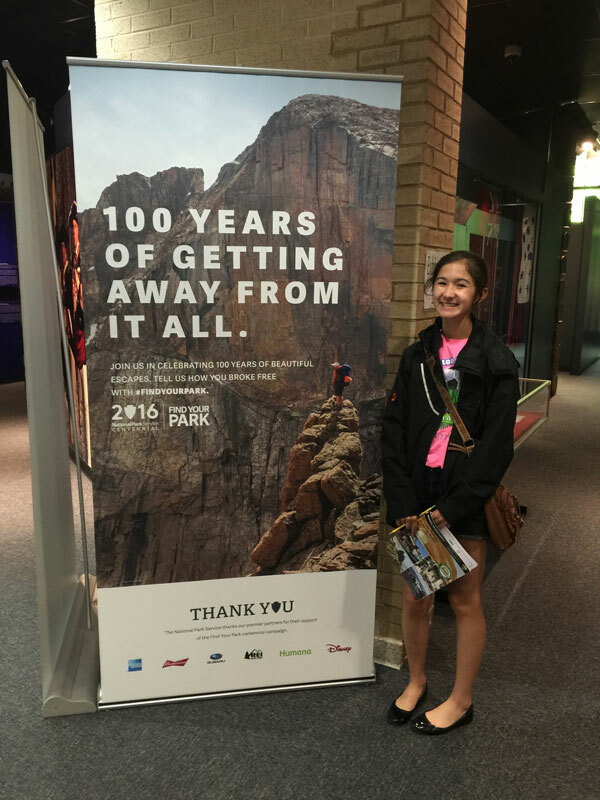 The lobby of the Visitor Center has the entrance to the museum and #FindYourPark banners prominently displayed. Speaking of banners, this was the first time we have seen this one talking about the Centennial Celebration. 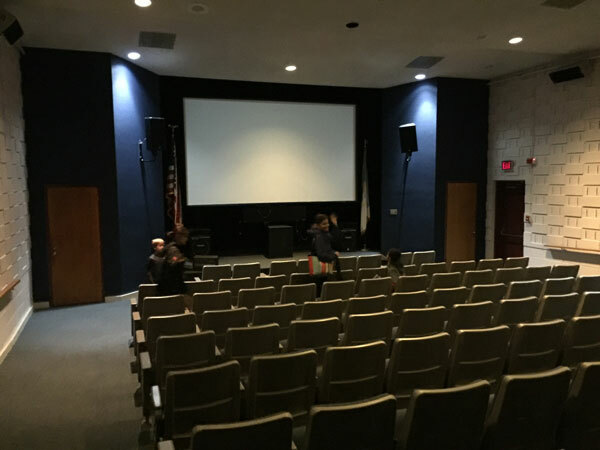 The theatre is a nice size with comfortable seating. The movie is a FREE 30 minute movie that is pretty unique. The movie is unique because the narrator tells the story of the battle when all of a sudden the characters “break the fourth wall” and speak directly to the audience. The acting is not the best in the world but it does the job of telling the story. 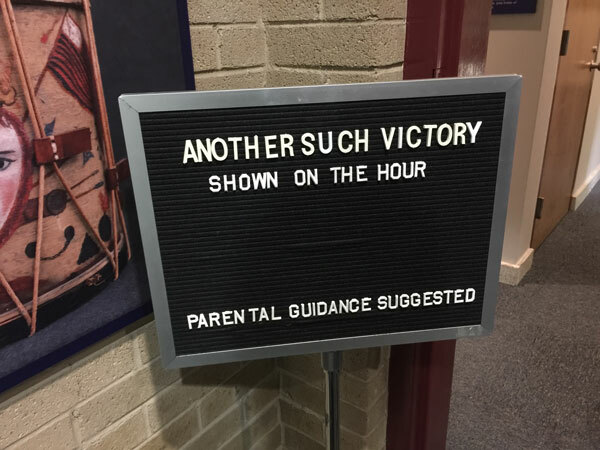 The title, “Another Such Victory” is a reference to a quote by British Whig Party leader and war critic Charles James Fox who echoed Plutarch’s famous words by saying, “Another such victory would ruin the British Army!” While the British tactically won the battle, they lost over 1/4 of their men in the process. The movie also talked about the Battle of Cowpens, the Battle of Kings Mountain, and the surrender at Yorktown: all National Park sites we have visited. It is so rewarding to see our kids put the pieces together and learn about the timeline of the American Revolutionary War through our travels to National Parks! The museum is in a word: “spectacular”! Large photographic displays set the stage for the story of the battle. Replica uniforms show the various dress of the time. 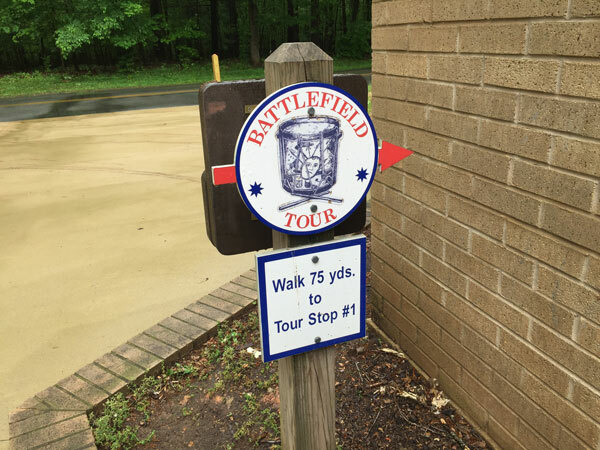 This battle featured British forces, soldiers from the Continental Army, AND members of the North Carolina and Maryland militia. 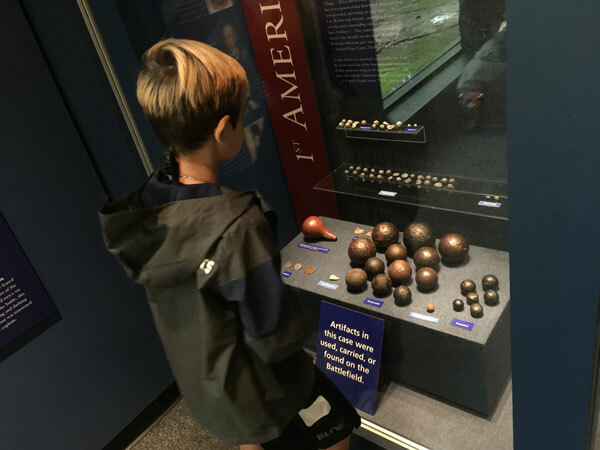 The kids really enjoyed seeing the actual battlefield artifacts including a lot of musketballs and bullets. Floor to ceiling windows open up to the dense forest outside where the battle took place. There are black silhoetted figures amongst the trees for context. 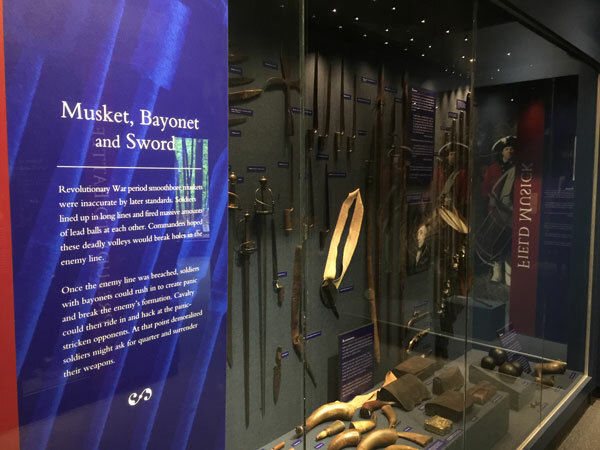 There are also muskets, bayonettes, and swords! A really neat collection of artifacts and replicas that will fascinate any military or history buff. Here is a display with audio featuring a restored snare drum. The drum and drumsticks were reportedly carried by Luther W. Clark at the Battle of Guilford Courthouse. 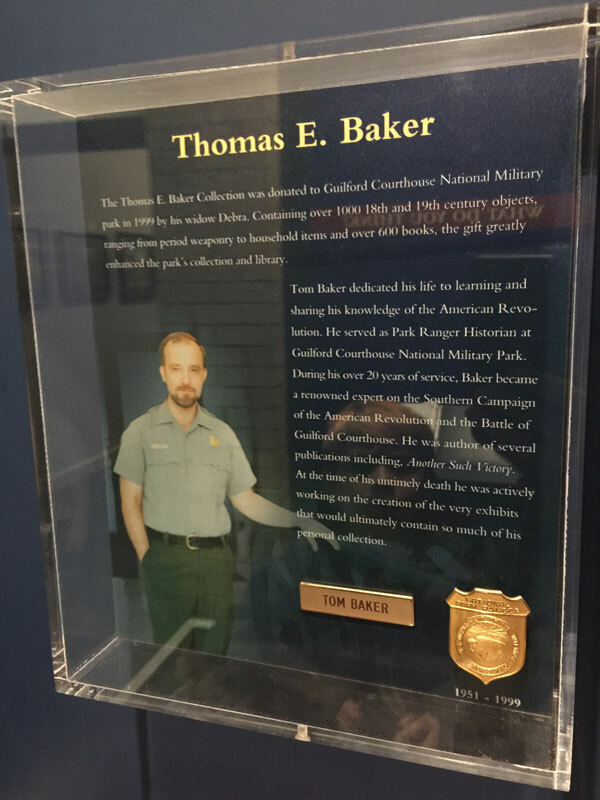 We also took the time to view this display recognizing Park Ranger Thomas E Baker who, according to the sign, “at the time of his untimely death was working on these exhibits.” These displays were amazing and it was no doubt due to Mr. Baker’s dedication and commitment to preserving this historic place. Click here to view the Virtual Museum Exhibit provided by the National Park Service! 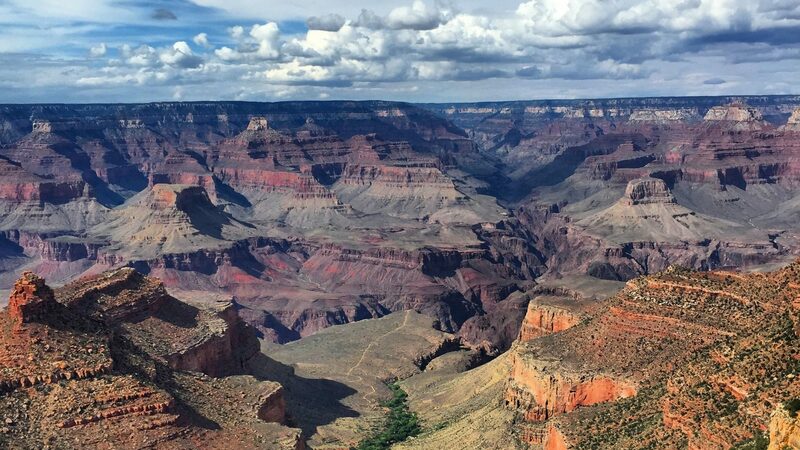 With all of this history here there is no surprise that it was dedicated as a National Landmark! With the rain and the last-minute visit we ony had a chance to visit the Visitor Center this time. 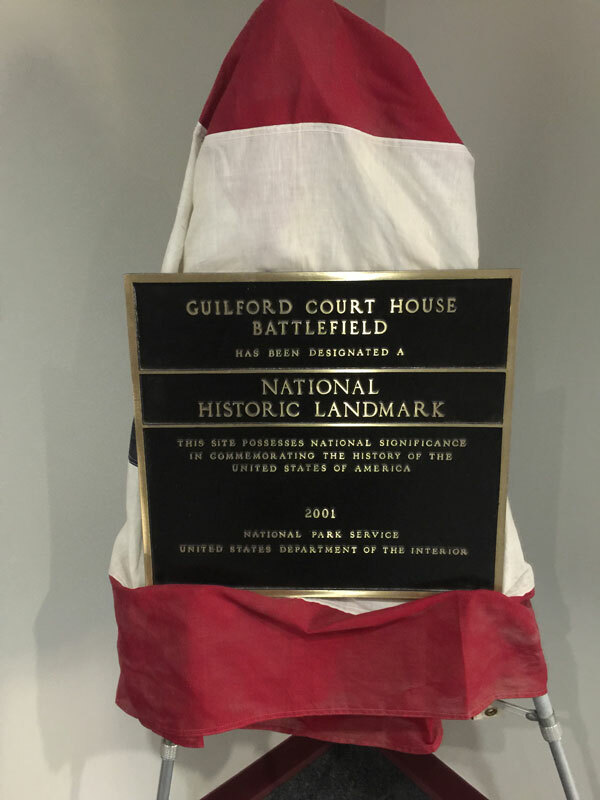 But Guilford Courthouse National Military Park has a ton of other things to see and visit! 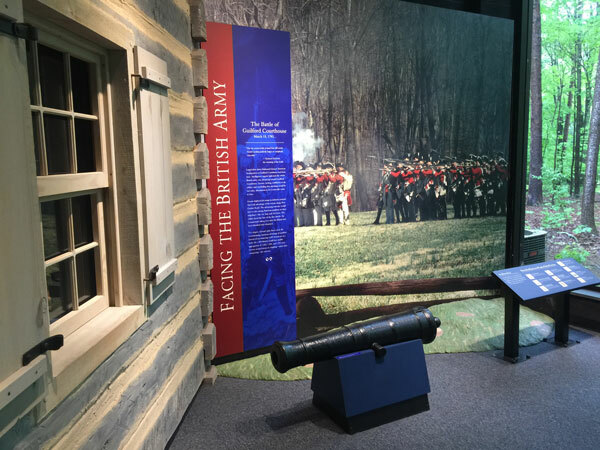 – The Colonial Heritage Center has exhibits, galleries, and a 10 minute battle diorama program. 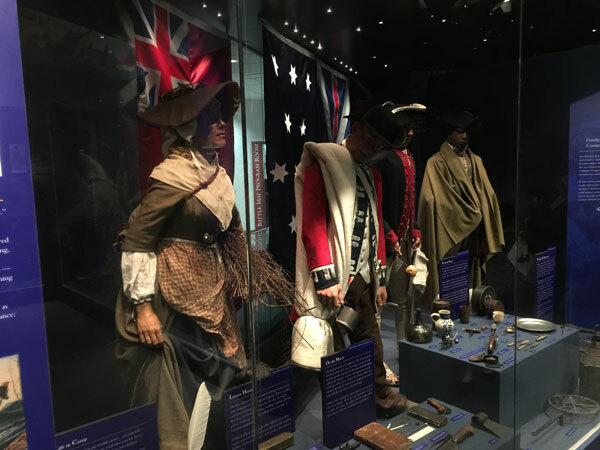 Click here to learn more about the Colonial Heritage Center. – Hoskins House is a reconstructed structure that was the staging area for the British forces during the Battle of Guilford Courthouse. Click here to learn more about Hoskins House. – The Battlefield is where the action took place! It features informational placards and a few monuments. Click here to learn more about the battlefield. 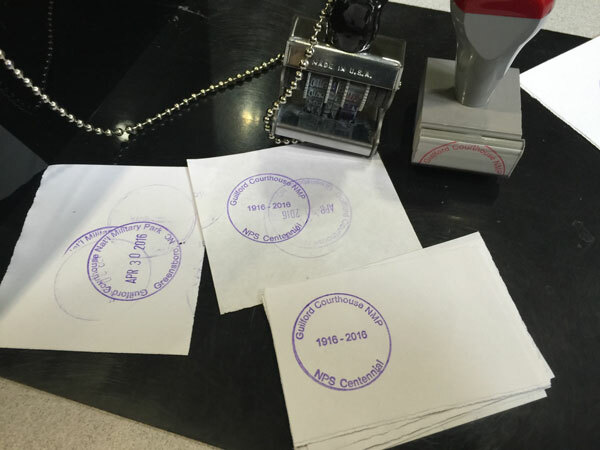 Another Stamp in our Passports! Even though we had visited Guilford Courthouse National Military Park before, it was great to see it again and to get another stamp in our passport! Guilford Courthouse National Military Park is one of 8 National Park units in North Carolina. 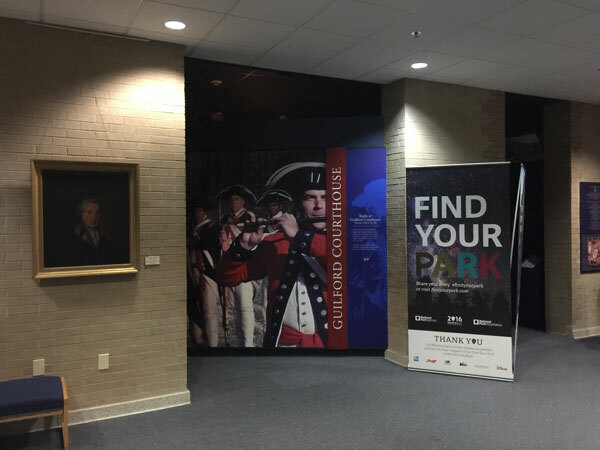 Have you been to Guilford Courthouse National Military Park yet? Tips on Visiting National Parks in D.C. Learn About Booker T Washington National Monument :: YoParks! You need to be a part of a contest for one of the best sites on the internet. I most certainly will recommend this site!